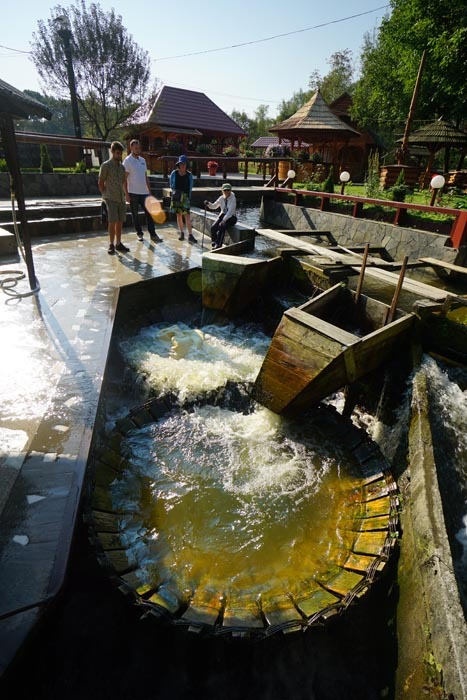 Mimi and I had planned to go to Iceland this year, but as we both injured our knees and Iceland would entail a lot of hiking, we opted for one of the last European countries we hadn't been to, Romania. Bulgaria came as an added bonus, as did our own private guide. We had some reservations about there only being two of us and having to spend 8 hours with a complete stranger, but we lucked out and got an exuberant young man by the name of Silviu whom we grew quite fond of. 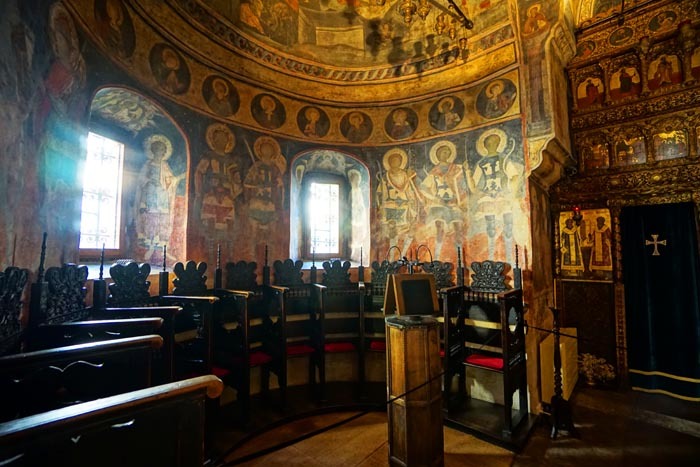 The tour was basically from Bucharest through the heart of central Romania, seeing some of the best old towns, churches, museums, castles and monasteries. As luck would have it, our plane was delayed by about a half hour, just enough to miss our connecting flight. Unfortunately the next flight wasn't until almost 8 hours later, so we didn't get to our hotel until about 1 am in the morning. We started our trip the next morning having been up 28 hours with 4 hours sleep and in a time zone that was 9 hours out of sync. As usual, the breakfasts were amazing, and after two cups of espresso we were raring to go. 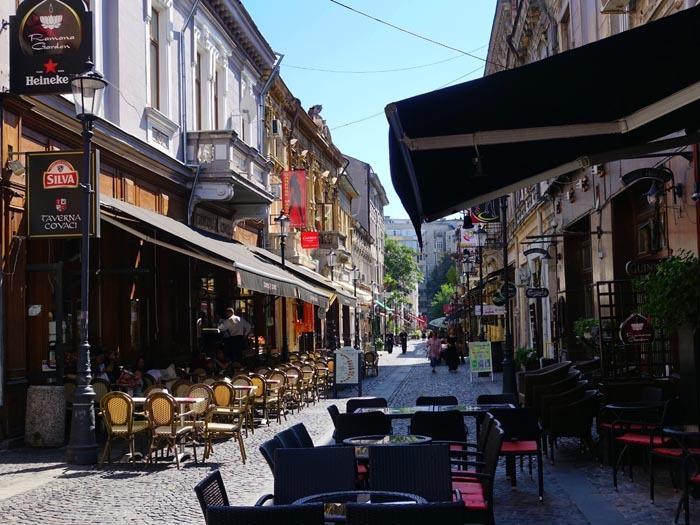 The Old City of Bucharest. 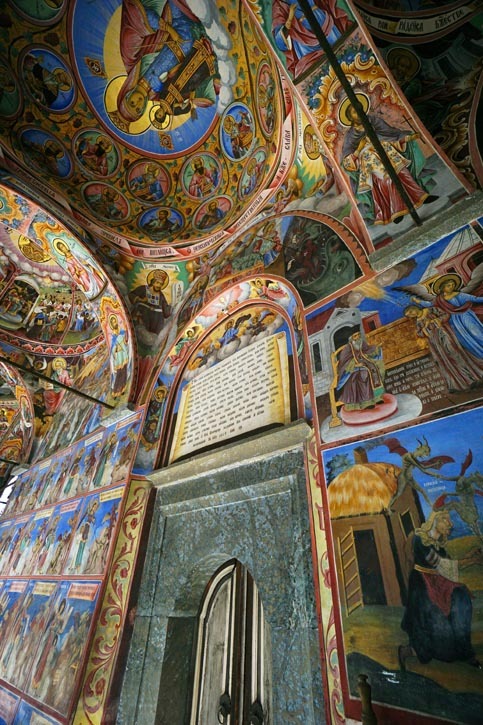 The Stavropoleos Monastery Church dating from 1724 is small but one of the most charming churches in the old town. Just a detail of the stone work done at that time. The church has a few other buildings and forms a sort of oasis in the town. But mostly it's a Mecca for tourists. We happily roamed the old section looking at as many shops we had time for. It wasn't just classical decor, some of the shops were very avant-garde. 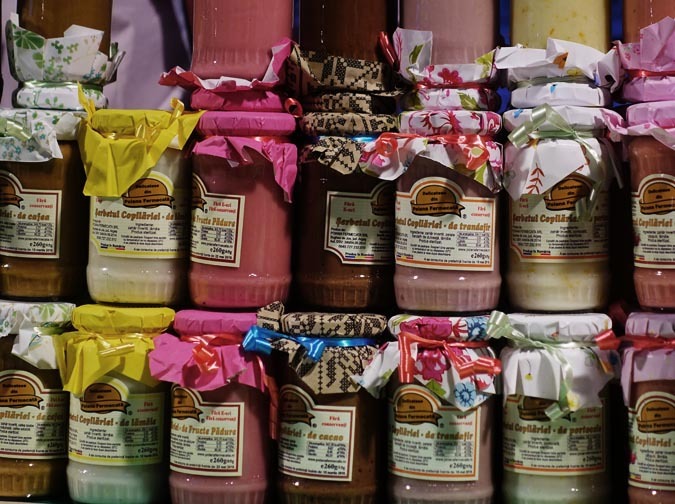 Most of the stores were more traditional. This one is a combination Goodwill & garage sale. 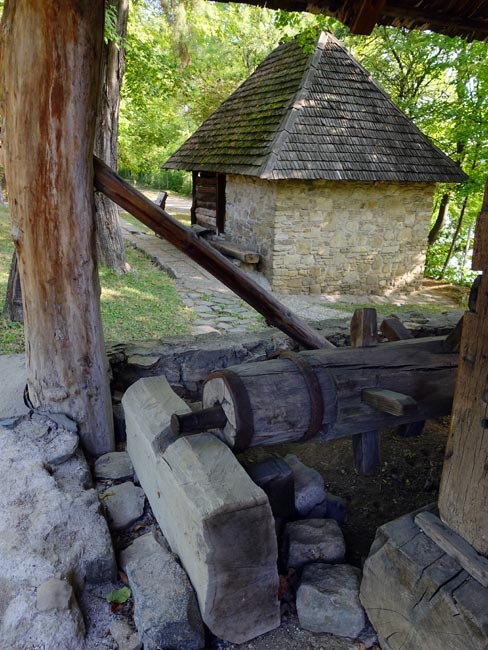 The following day we met our tour guide and took in the amazing Village Museum, a collection of dozens of ancient farm structures brought in from all over Romania to exhibit life in centuries past. 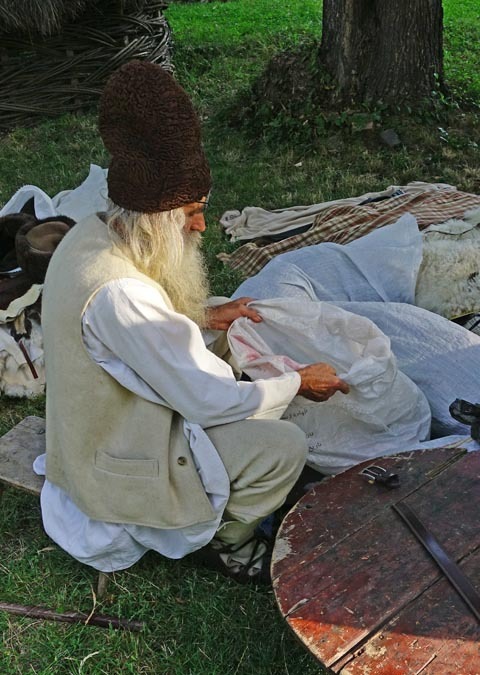 Here a craftsman plies his trade. I suspect genome splicing might actually have brought this fellow back from the 17th century. This is the second largest building in the world, the Pentagon being the first. 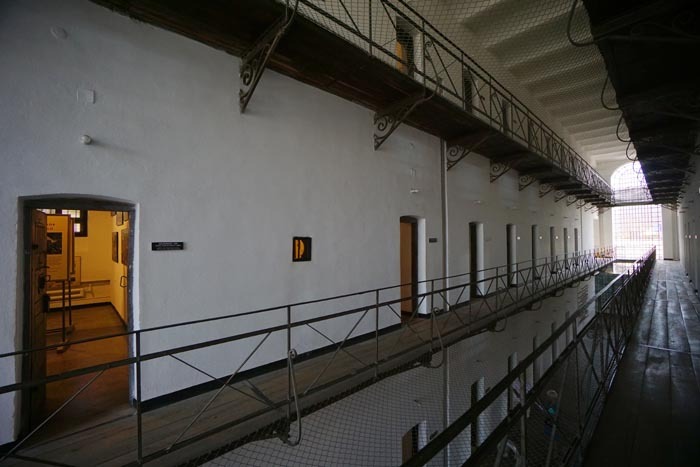 We took a tour of perhaps a half dozen rooms like this one yet covered only 10% of the building. It's largely a tribute to Communist overruns. 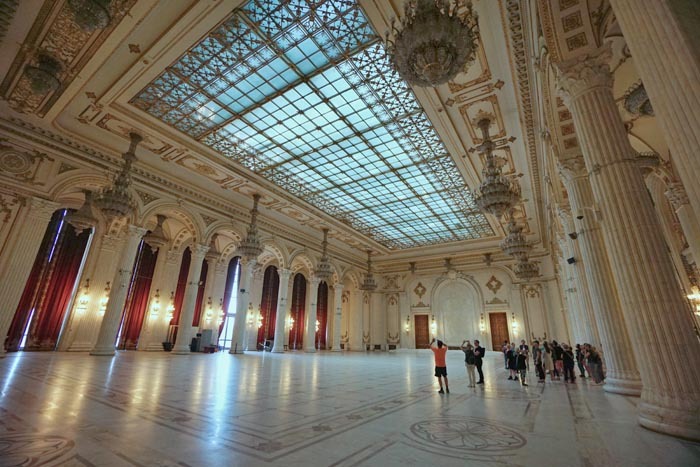 Now it is used for governmental administration and public events. Even with all that, only 30% of it is occupied. One of dozens scattered throughout the country. 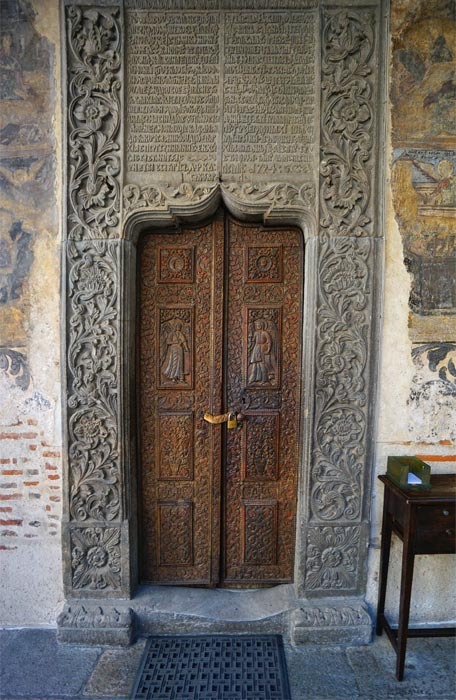 This one dates back to the 14th century. Old, charming and full of art. 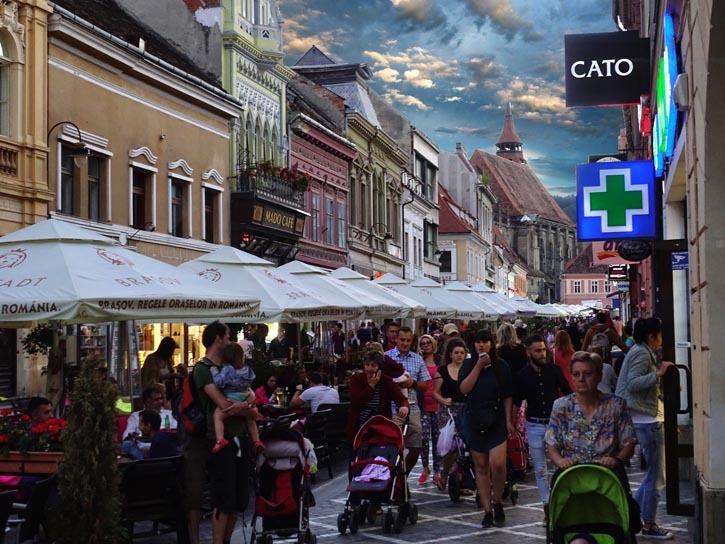 Sibiu was one of our favorite towns. 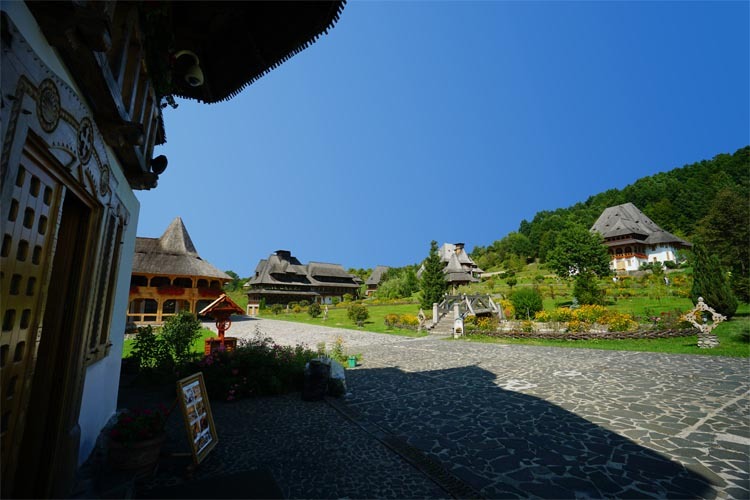 Located in the middle of Transylvania, it shows heavy Germanic influences. Quaint, clean, and modest size. None the less, some of the buildings could use a little more repair. 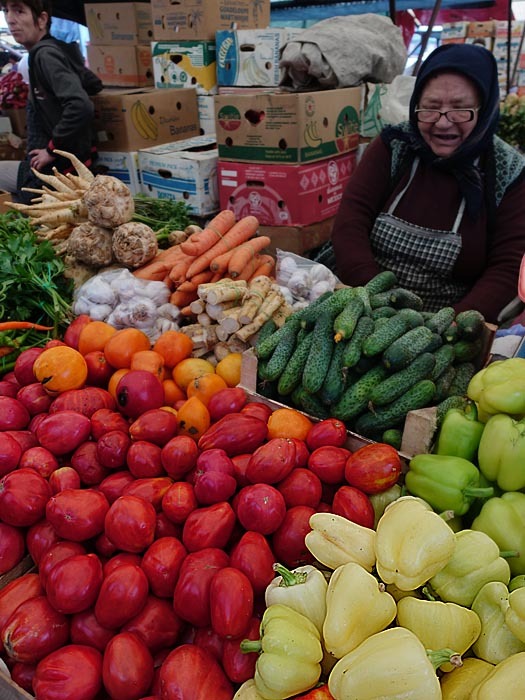 The traditional outdoor market. Now however, it's getting stiff competition from the 'supermarket' in town. 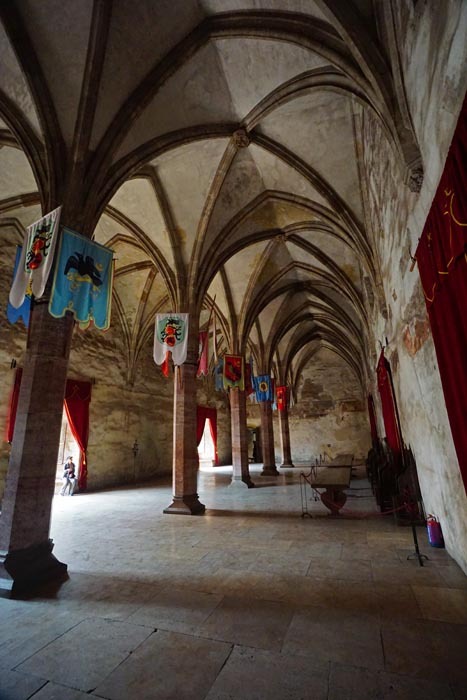 Also known as Hunyad Castle, it was built by King Charles of Hungary in 1307. 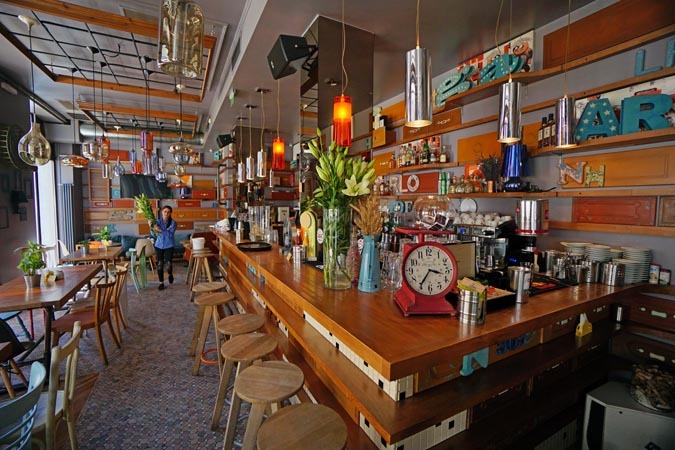 It has undergone extensive renovations over the centuries and now bears little resemblance to the original. 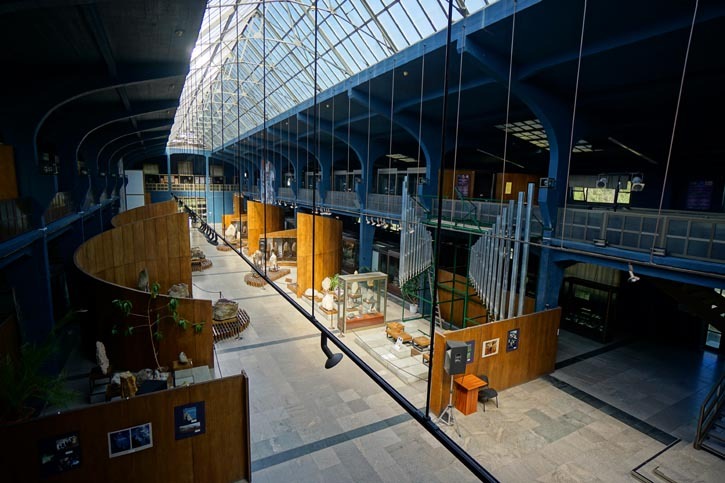 Still, it's a wonderful museum with dozens of old passages and rooms sure to delight kids and adults alike. 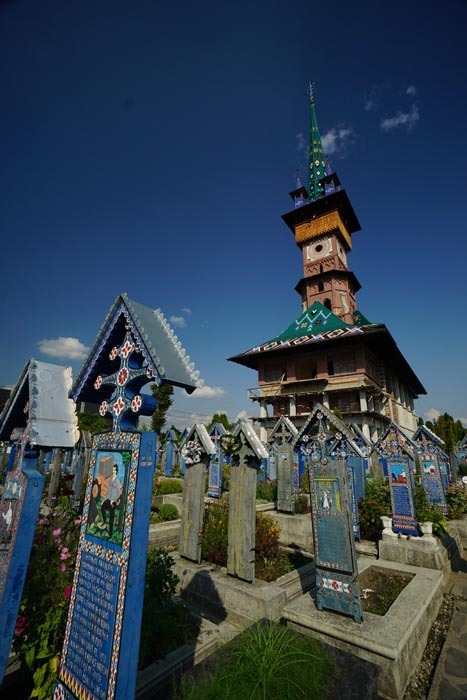 The "Merry Cemetery" in the village of Sapinta which is famous for its epitaphs. Each one is a short and sometimes humorous story about the life of the deceased. makes a very high tower possible. This is the furthest northern part of our trip where we are only a half mile from the Ukrainian border. 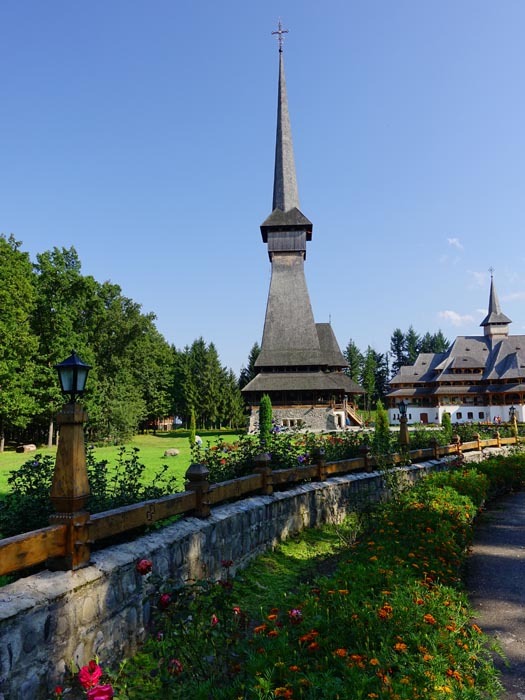 From here, we head east, and then south to taking in the Unesco Wooden Churches in Maramures, Barsana Monastery, then go over the Carpathian mountains to the Bucovina Monasteries, and continue south to the Neamt Medieval Citadel before crossing the Bicaz Gorges. 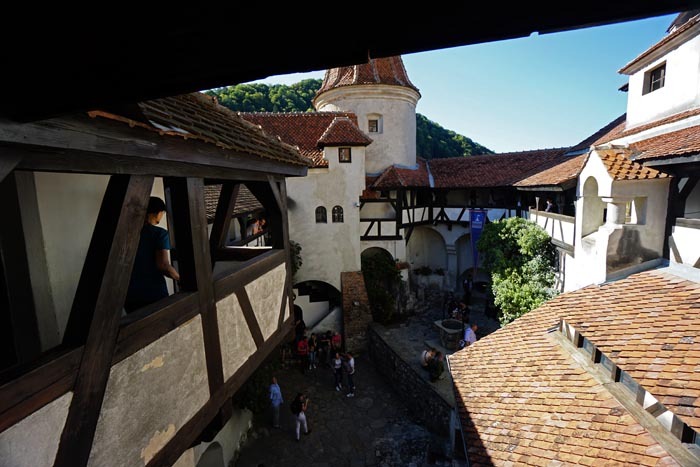 As we go further south to Sighisoara, Dracula's birthplace, and the Brand castle. 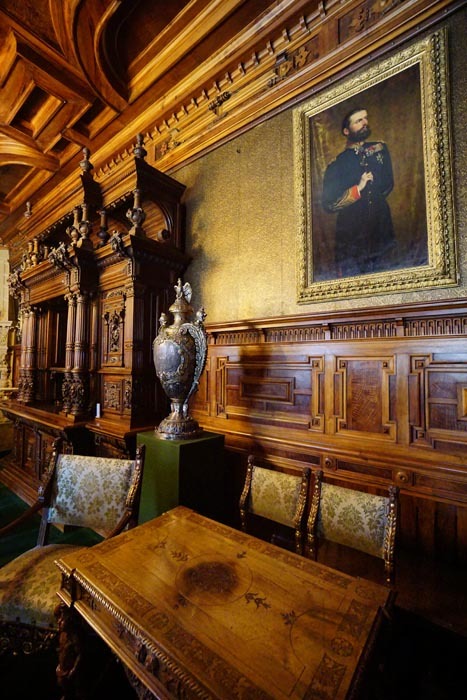 Then onto Peles Castle, one of the most opulent we have ever seen. In between these sights we have visited the home of some real Gypsies, a local pottery and marmalade factory. 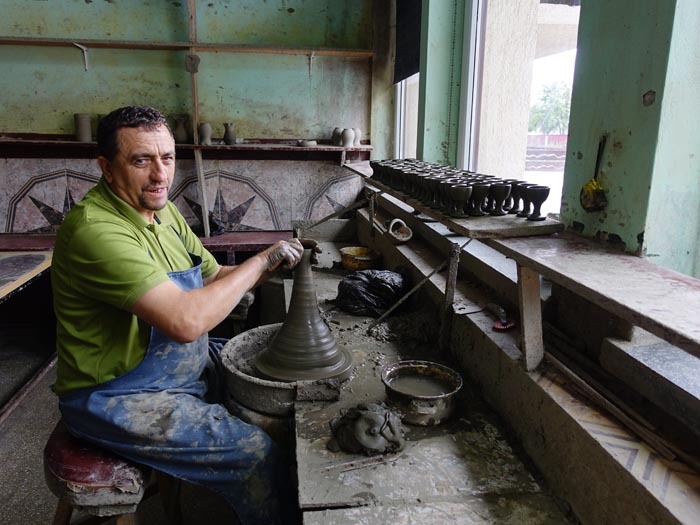 And stayed in the home of a local Romanian where he provided home grown entertainment. It was quite charming actually. We never realized how severe communist atrocities were in Romania. Second only to Auschwitz. Thousands were prisoned or killed for political reasons. 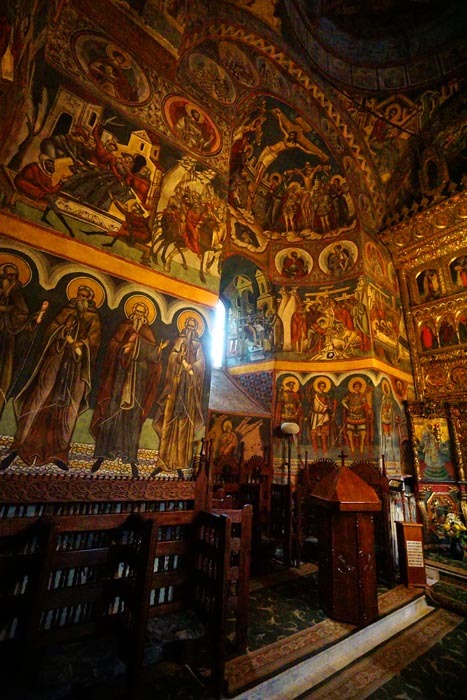 Barsana Monastery, is a large and beautifully maintained monastery for nuns set on the side of a mountain. 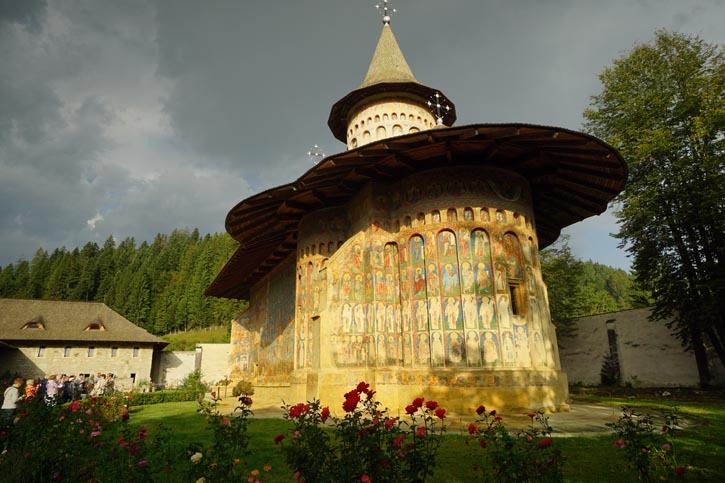 This is one of the beautiful Bucovina Painted Monasteries now listed on the World Heritags sites. Most were built around mid 1400's by Stephen the Great. The paintings sometimes leave no space blank. 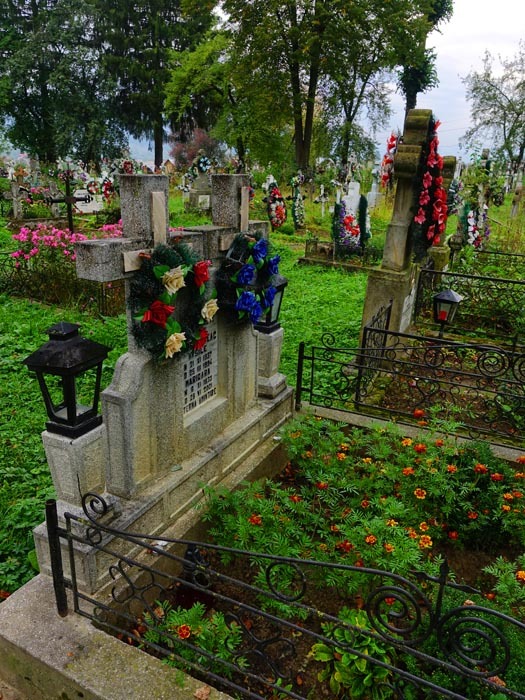 One of the local cemeteries which we found 'peaceful'. 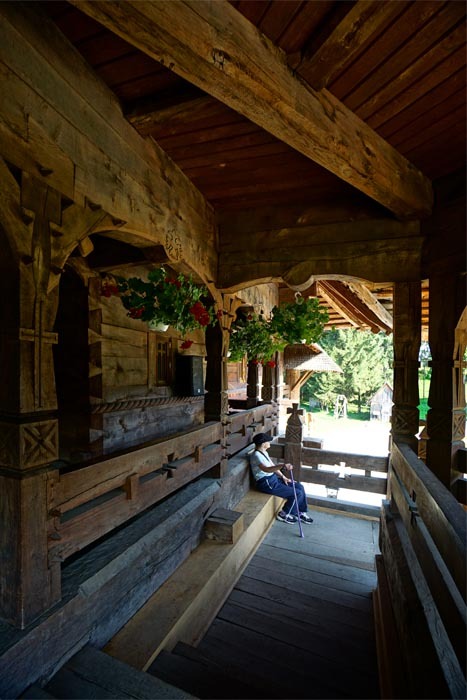 We visited several craftsman renown throughout the country for their trade. 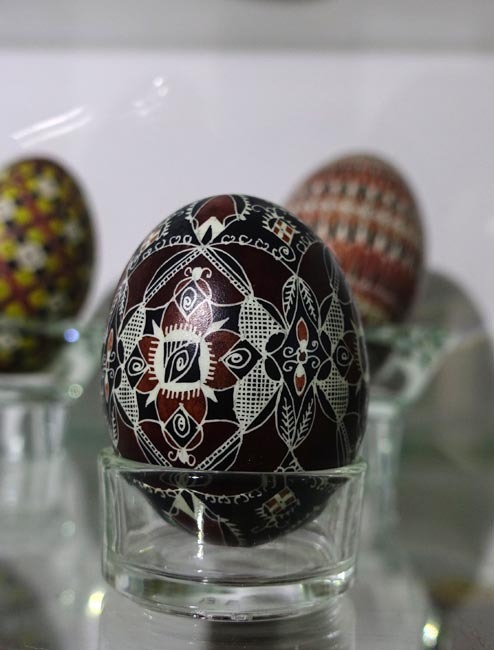 One lady did amazing Easter egg decorations, and had a museum of decorated eggs from all over the world. 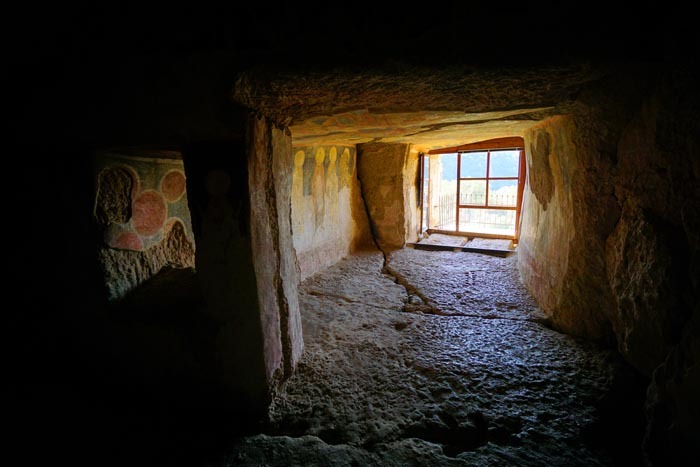 The other developed a special kind of air reduction pottery only found in ancient Americas. 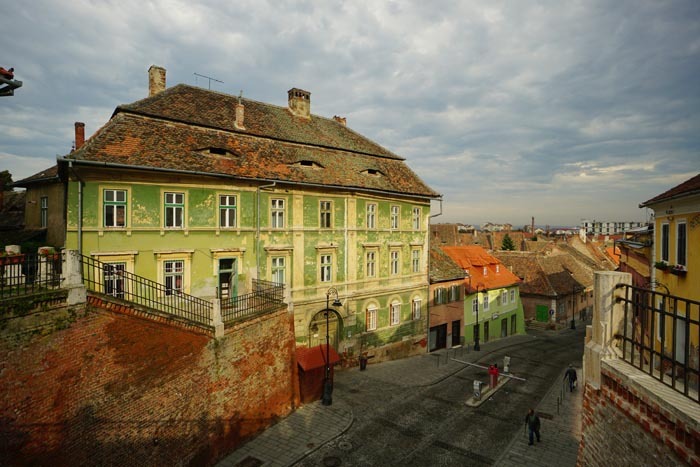 The charming town of Sighisoara, where we stayed at the Antler House. Prince Charles had the room next door some years back and we have to admit is was one of the most charming hotels of the trip. 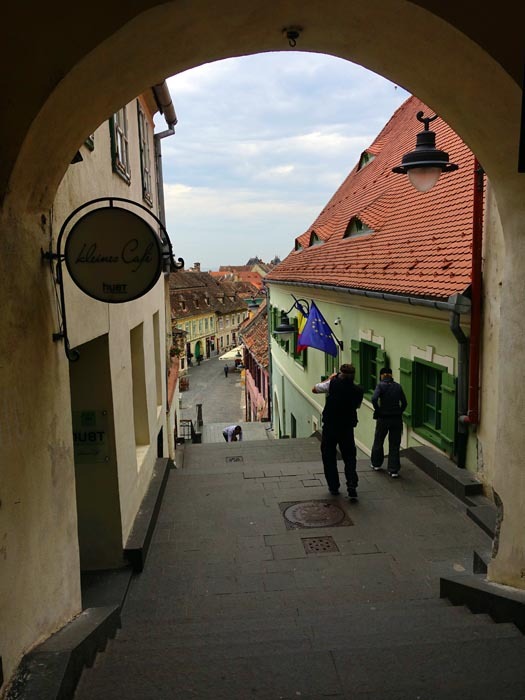 Walking the streets of Sighisoara was absolutely delightful. There were charming little sights at every turn. 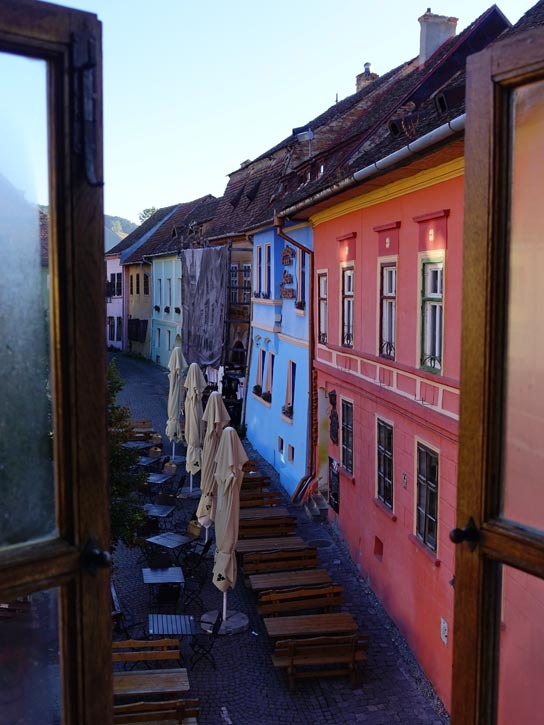 The view from our hotel window onto the Sighisoara town square in the morning. 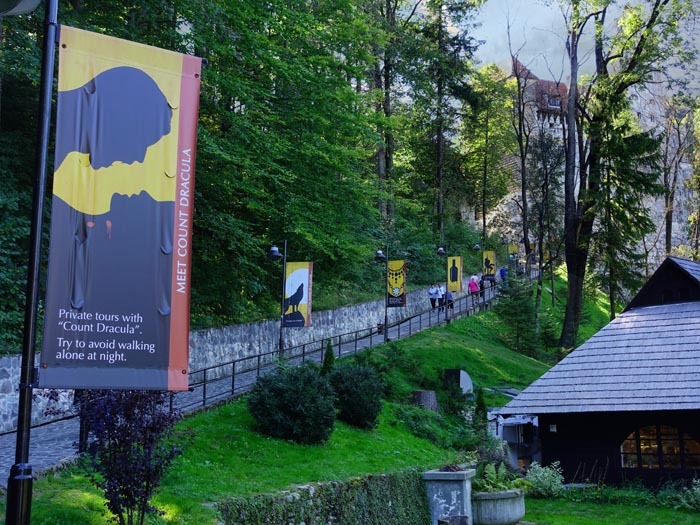 This is supposedly Dracula's castle as you can see from the banner. In fact, he only spent a little time here, and mostly in a cell. None the less, the hype has mounted and it's now a major tourist attraction. 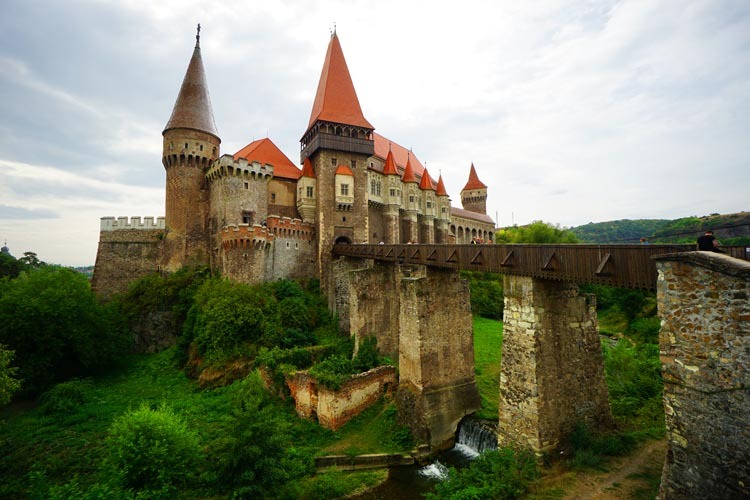 We found the setting beautiful and the castle interesting, but fairly plain compared to others in Romania. 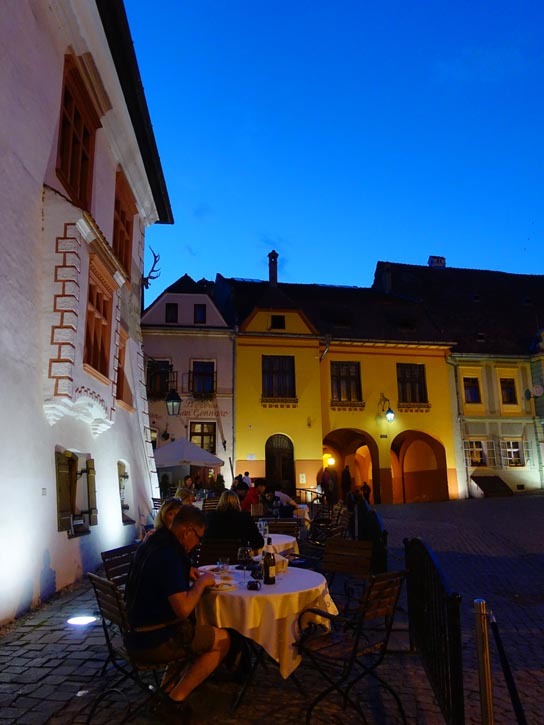 Brasov was another delightful little town and we had a nice hotel right next to the main square where we enjoyed a pleasant evening diner. Furthermore they had a faire going with lots of interesting vendors which made for a memorable evening walk. 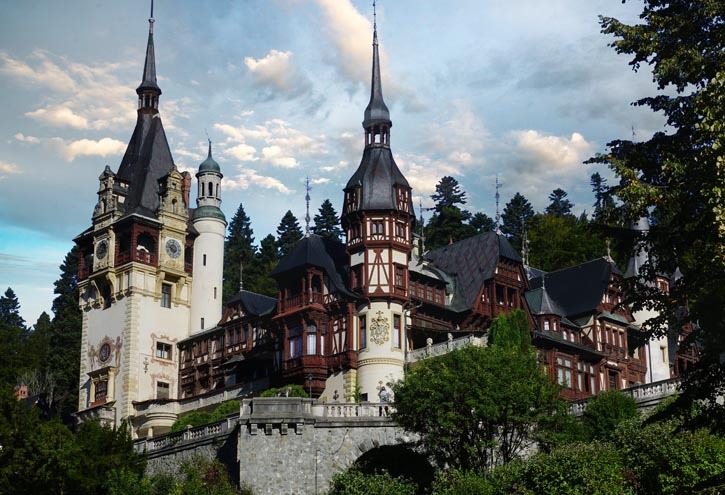 This is Peles Castle, the royal residence of King Charles of Romania. We have been to larger castles, but never to one so opulent. 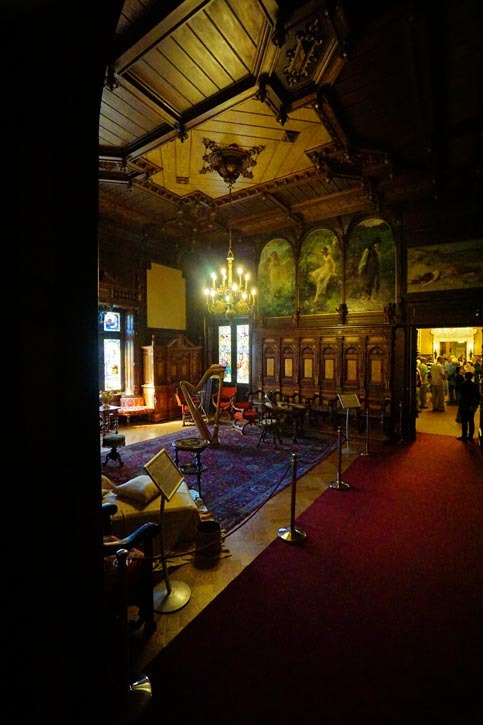 The unexcelled woodwork was evident from floor to ceiling. An example of one of the smaller rooms. A detail of the woodwork. 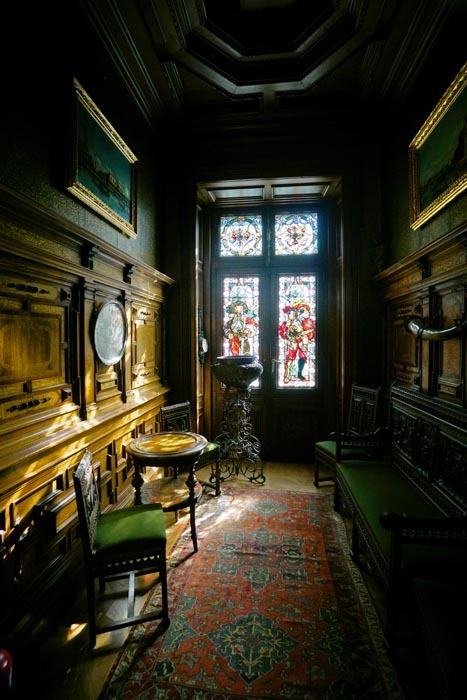 One of the reception rooms. 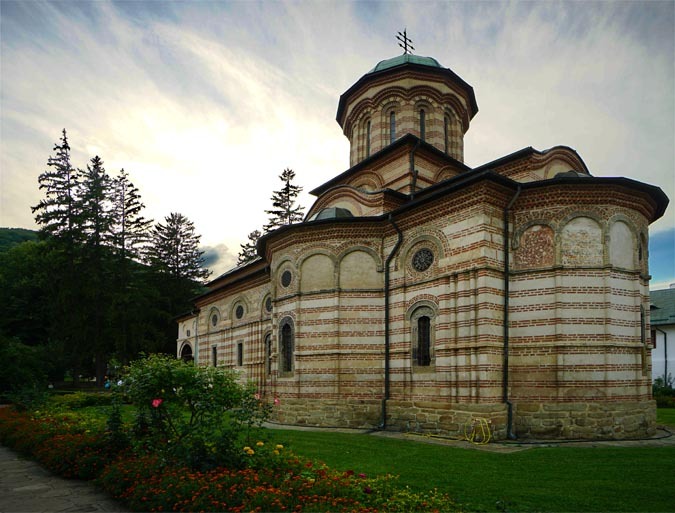 Today we regretfully left our Romanian guide and went into Bulgaria where we visited the remote site of the Ivanovo Monastery. In spite of our knees it was nice to climb the stairs to visit this unique site. 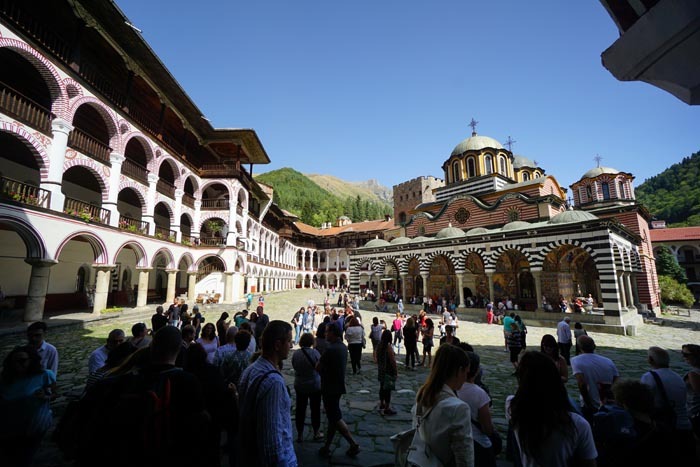 The Rila Monastery is one of the most imposing and decorated places we have visited. Built in the 15th century, it is now a Unesco site and one of the most famous attractions in the country... as you can see. Just one of the hundreds of rooms. The last day we we had the afternoon free. 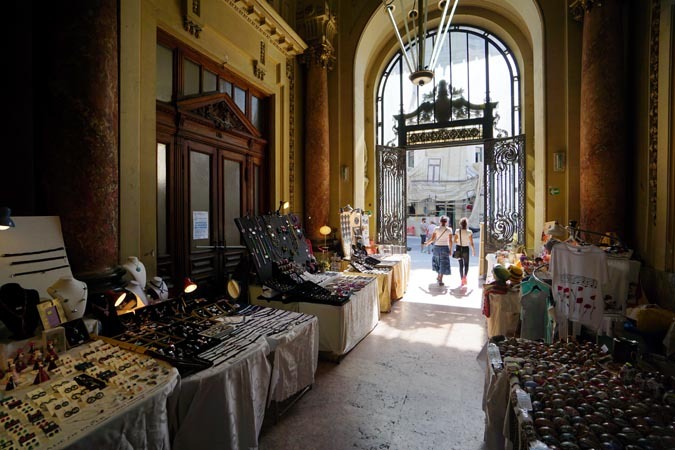 We happily roamed Sofia and came across this little gem, a museum costing perhaps $2 which housed some of the best mineral collections we have ever seen. 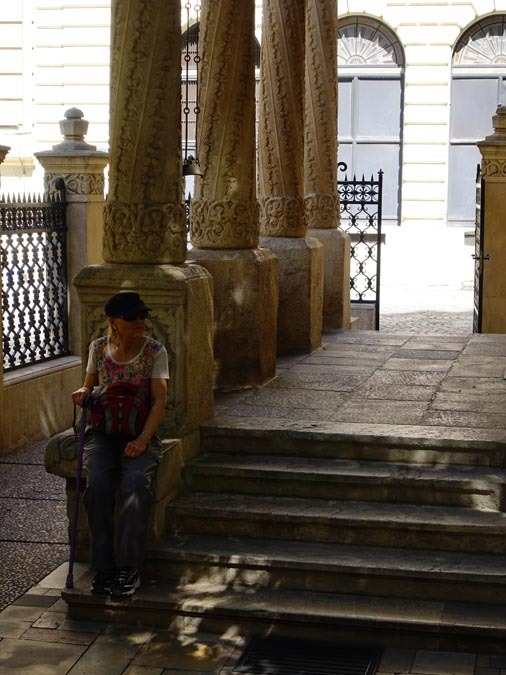 Romania has it's own language based on the Greek alphabet, so we could mostly read the signs. But when we got into Bulgaria, it was Slavic and based on the Cyrillic alphabet and we were completely lost. From our guide there I sense that while having European affinity, they are none the less somewhat sympathetic to the Russians, due in part to language similarities & shared cultural histories. It was with some heroics on our part that we made the last connection in Paris. One hour is just barely enough if everything goes right, and it seldom does. So beware for those making flight connections via Expedia etc. as we now feel 90 minutes should be the minimum. As usual, it was with some effort that I reduced the 1500 pictures I had to about 40 something posted here. While we would recommend this trip to anyone, we won't be coming back. 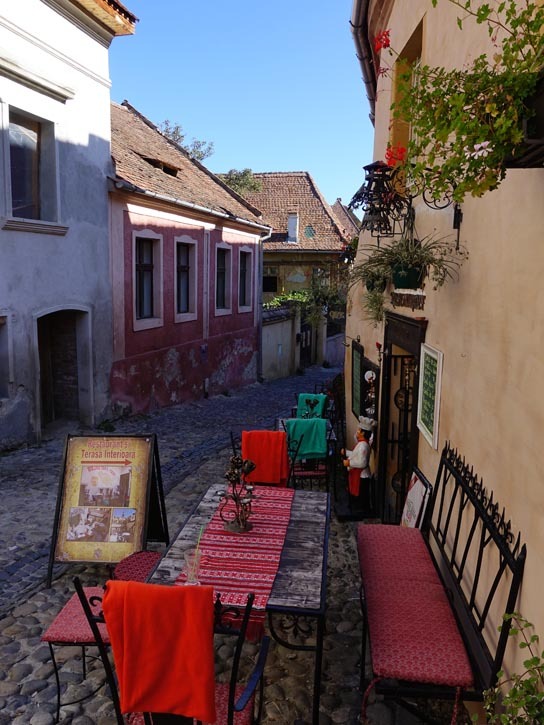 If I had to come back, it would be more time spent at fewer places like the charming villages of Sibiu or Sighisoara for example.